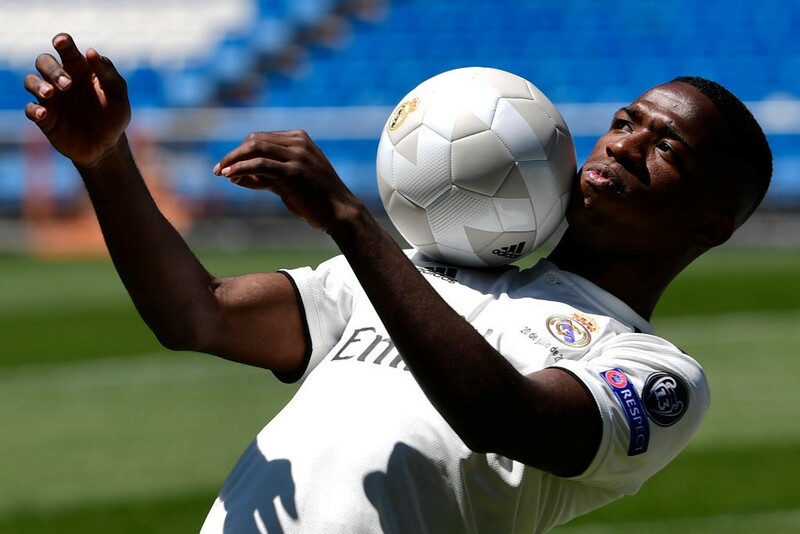 Vinicius Junior was unveiled at Santiago Bernabeu Stadium almost two years after his signing. Real Madrid paid around €45M to Flamengo but Los Blancos had to wait until the Brazilian player turn 18. Now the winger is in the Spanish capital ready to land in the European football and be successful with his new club. Although we don’t know yet if he will play in the first team or at Castilla, in the Spanish Third Division. Actually, Vinicius was unveiled without a number because we don’t yet his destination. He was accompanied by Ronaldo Nazario, who wanted to be at Bernabeu supporting his friend. Vinicius said his first words: “It’s the biggest opportunity a football player can have. I’m going to make many sacrifices to show I deserve this opportunity. I come from a very humble family and the taught me values. Now I arrived to the best club in the world, the top of the world, with only 18 years old. 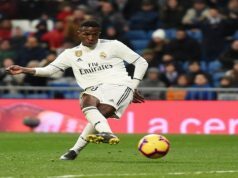 I’ll show the coach and the colleagues that I’m ready to play”, Vinicius commented. The Brazilian player also spoke about the difficult transition between Brazil and Europe: “I know that the adaptation won’t be easy but I’m ready. I thank Florentino, Jose Angel [Sanchez] and [Juni] Calafat. I thank my family for what they did for me and for my dream, I won’t disappoint them. 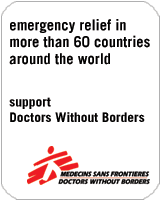 Luckily, I could choose among the best, but I chose the best club in the world. 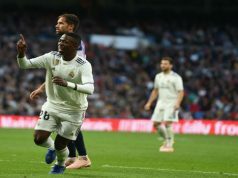 We are Real Madrid and we always want more Hala Madrid!”, Vinicius finished. Florentino Perez also spoke about his new signing: “Real Madrid is putting an effort on finding young players that can become the stars for this sport in the future. I said some days ago that we will add some good players to the squad, and Odriozola and Vinicius are great. We expected him for some time because he conquered us with his dribblings and his plays and now he is here”, the president said during the unveiling. After Alvaro Odriozola and Vinicius Junior unveiling, next week it will be time for the young goalkeeper Andriy Lunin, who will leave the club on loan this summer looking for new opportunities. Meanwhile, the Real Madrid supporters still wait for a big signing this summer, especially after Cristiano Ronaldo’s departure.